Athens, Greece 2 December 2015. 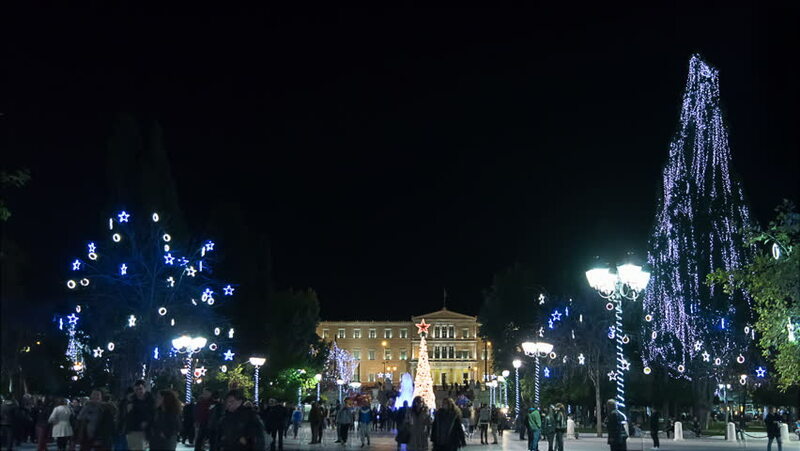 Night time lapse of people walking at the decorated for Christmas Syntagma square in Athens. 4k00:33Time lapse. Industrial part of Hong Kong Island. View on harbor with barge, ship, ferry and overpass. 4k00:08Singapore - 25 September 2018: A nighttime view of the pier, river, ferris wheel and beautiful night city. Stock. Purple lighted ferris wheel near the river on night city background.